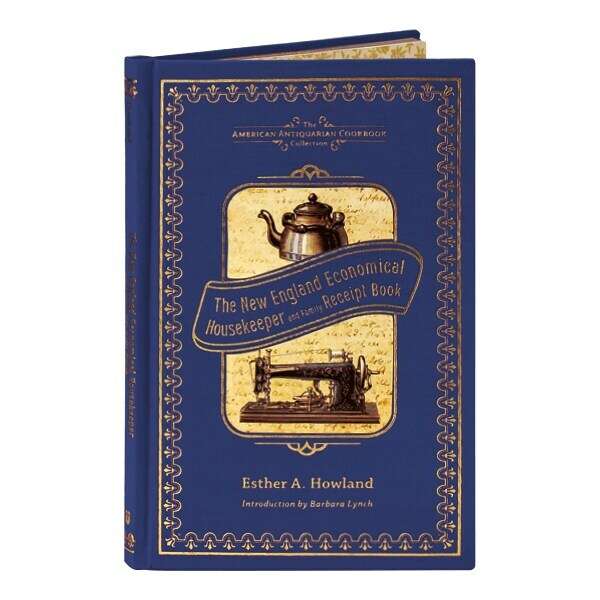 First published in 1844, Esther Howland's multifaceted regional cookbook has a strong emphasis on thrift and self-reliance in the home, themes that reflected her New England heritage; it is reprinted here in an attractive facsimile edition with gilt-edged pages. Written with almost breathless brevity, the 220 classic recipes here-no less than 50 of which are for puddings—include Indian Flat Jacks, Caraway Cakes, Chicken Pot Pie, Apple Pudding, and Spruce Beer; the instructions on how to roast a pig should amply prove how squeamish we are in the 21st century. Here too are household tips and financial common sense, as well as advice on how to treat everyday ailments and even perform CPR.